Tiffanie Boyd (Chair) is currently Vice President of Human Resources for the Global Supply Chain at General Mills. She has more than 20 years of experience in HR and is known for her ability to build talent and leadership development programs that maximize performance. Prior to General Mills, Tiffanie was a consultant with Hewitt Associates. She has an MBA and BBA from the University of Michigan Ross Business School. She has served on various community boards and dedicates her time to initiatives focused on closing the education achievement gap. Tiffanie is originally from Detroit, MI and now lives in Minnetonka, MN with her husband Colbert and their sons, Evan and Ian. Ben Whitney (Vice Chair) began his career as an attorney with the Popham, Haik law firm specializing in regulatory affairs. He spent over a decade in the venture capital field as General Partner of the Gideon Hixon Fund. In 2005 Ben was nominated by President George W. Bush as Ambassador to the Kingdom of Norway where he served until mid-2009. Since then he has dedicated himself to developing several non-profits with a strong focus on education reform. In 2013 Ben earned a Master’s in Public Policy Management with a focus on education policy from Georgetown University. He has worked with Leadership for Equity in Education, EMPOWER, MN Comeback, school board races, and many other education projects. Ben serves on the board of the Minneapolis Foundation and Great MN Schools, and is Board Chair of MinnCAN, the state’s largest education reform advocacy organization. Director, Talent Management & Leadership, Americas Region, Medtronic, Inc. Global Director, Philanthropy - Medtronic, Inc.
Marcie Dewalt is currently Talent Management and Leadership Director, Americas Region for Medtronic, Inc. and is responsible for design and delivery of centralized and customer talent programs to enable business performance. Marcie has served in various HR management positions within Medtronic across the U.S. since 2003. She has a MBA (Management Concentration) and BS (Business Administration) from Florida A&M University in Tallahassee, FL. 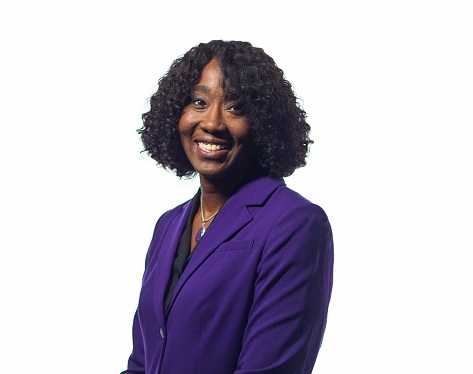 Sylvia Bartley, Ph.D. is known for connecting people and making things happen. In her last 16 years with Medtronic, beginning in Medical Device sales and progressing to global marketing, she has convened cross-functional teams across the globe to develop, improve, and disseminate neurosurgical techniques and best practices, primarily for Deep Brain Stimulation therapy. A true globetrotter, living in three different countries and working in over 20, developing and exceeding strategic goals is a hallmark of her work at every position she has held. The strategies and training models she developed have proven beneficial for businesses, patients, and physicians alike. Sylvia is now a Global Director in Philanthropy, a position that lets her use her influential leadership style to advance an environment of compassion and humanity at work.